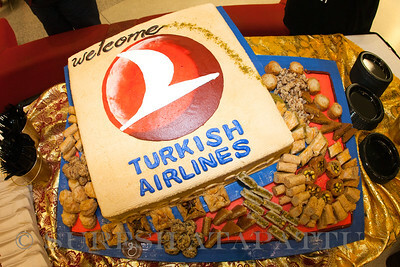 Turkish Airlines’ inaugural flight marked the beginning of scheduled daily nonstop flights between two premier global destinations: the historic gateway linking Europe and Asia and the Gateway of the Americas. 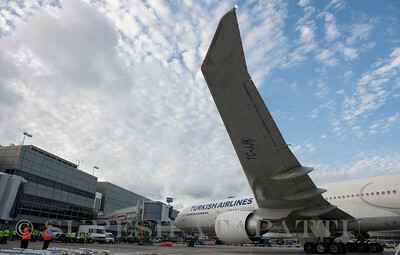 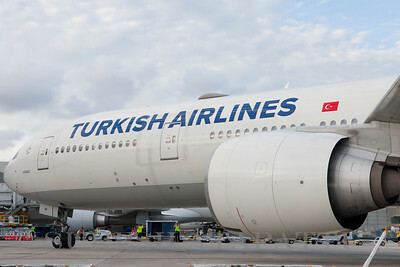 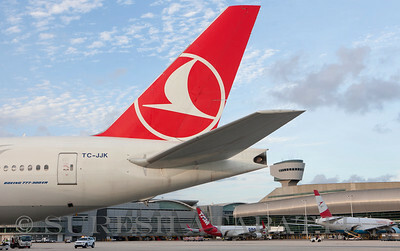 Flight 77 from Istanbul’s Ataturk Airport – operated using a Boeing 777-300ER aircraft – touched down in Miami at 5:49 p.m. and was greeted with a traditional water cannon salute. 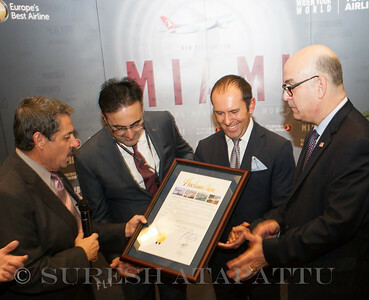 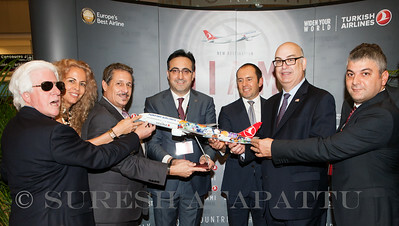 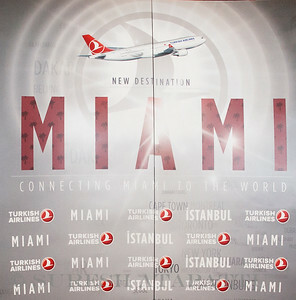 Chairman of the Board of Turkish Airlines M. Ilker Ayci, onboard the inaugural flight with other company executives, was welcomed to MIA by Miami-Dade Aviation Department Director Emilio T. González, Turkish Consul General in Miami Özgür Kivanç Altan and Miami-Dade County Commissioner Jose ‘Pepe’ Diaz, Chairman of the County’s Trade and Tourism Committee. 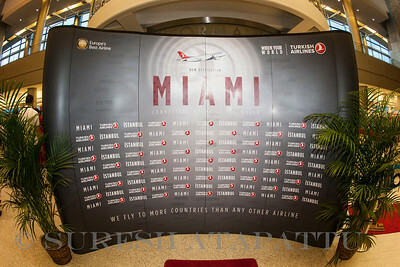 The group then joined other special guests for a welcome reception and ribbon-cutting ceremony inside MIA’s soaring Concourse J international arrivals lobby.